Claudia Jäggi (born 1975) is a mainly self-taught fibre artist with a family background in textiles (her maternal grandmother was a textile art teacher, her paternal grandmother was a couture dressmaker). 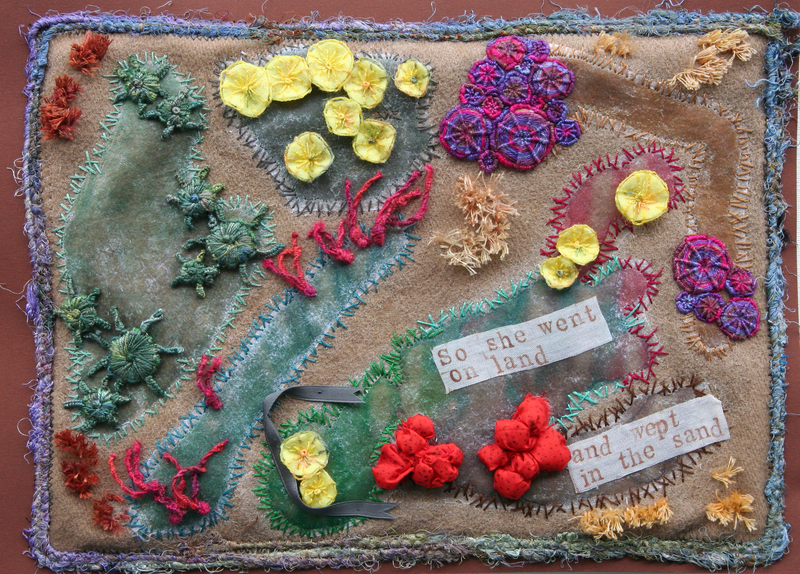 Transforming traditional techniques into fiber art and adding further media, her work could mayhap be titled “mixed media embroidery art”. She is based in Winterthur, Switzerland. Claudia grew up in Davos, a small town in the Alps; so she often draws inspiration from nature. 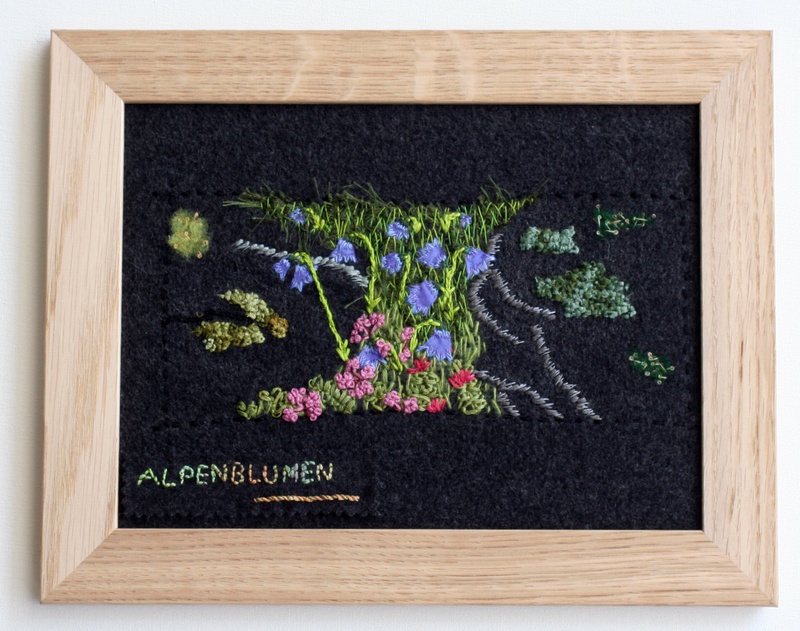 For example, she uses makro photographs of plants or patterns found in the beautiful surroundings of her home at the edge of the woods, translating them into stitch. As she is also a writer, another important source of inspiration is her longing to tell stories. Claudia exhibits her work in local galleries and online at claudiajaeggitextileart.net. She is also the founder of the Swiss Hand Embroiderers’ Guild. 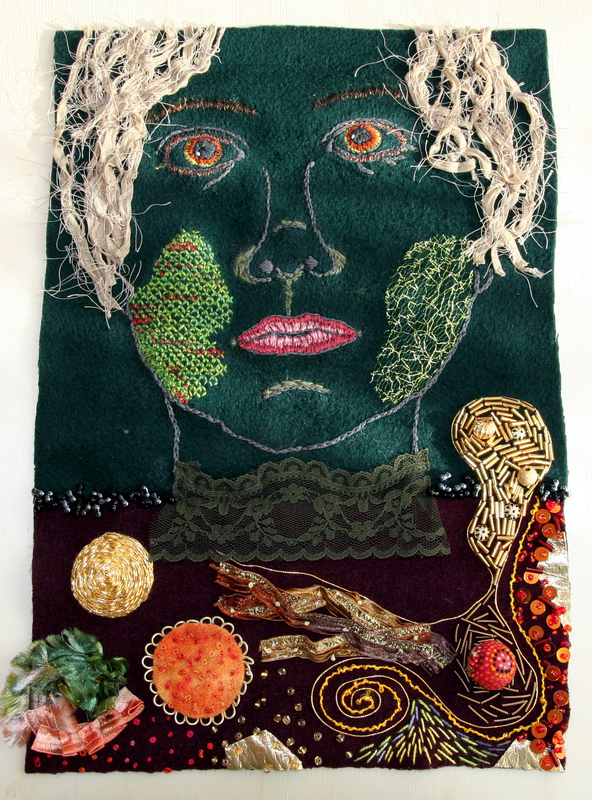 Her art can be purchased at Claudia Jäggi Textile Art.